Get The Guy / Attract Men / What Do Men Find Attractive In Women? Ever wondered the question, what do men find attractive in women? One thing I love about women is their innate ability and drive to look after other people and put others needs before their own. Women are pre-programmed to take care of others in a way that leaves us men thanking God that they do. Lets face it: as a general rule, women are much less selfish than men are and that’s got to be an attractive quality, right? But this behaviour taken too far is unattractive. 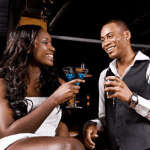 In this article I want to tell you exactly how you can make the men you meet more attracted to you as a sexual partner. What do I mean by a ‘people pleaser’? I find that people pleasers become so used to thinking of other people that they forget to think about what they want and need. They often come across as trying too hard to be liked which in turn gives people a negative, needy impression that they didn’t intend to give. People pleasers tend to just follow the crowd, rarely voicing their own opinions and standing up for themselves. Some of you may identify with this and agree that it doesn’t feel great! On a more superficial level, men will find it irritating if you try and attend to their every whim. They may feel that they are either being put on a pedestal and idolized or they are being mothered. Men’s attentions will start to dry up fast if they find this is the case! On a deeper level they want to feel that they are with a woman who is confident, knows what she wants and is prepared to think and fight for herself to get it. Women who come across to men as being desperate have a tendency walk into a date already thinking 6 months ahead. Men can sense this expectation a mile away and it smacks of neediness. Men want to see that you have a life that you enjoy and that although they are important, they are not the only part of it. Take steps towards your own plans on a daily basis which will help you not to panic about the future and keep the feeling of being in control. Men love it when a woman can give back as much as she gets. Some women make the mistake of thinking that creating attraction involves agreeing with everything a guy says. This is completely wrong! Guys love women who have an opinion and disagree with them on things. It only makes them value the stuff you agree with even more. Neediness is one of the biggest obstacles to break through if you want attraction. So start making time for yourself and don’t make it your mission to please everybody! Knowing what men find attractive in women is sometimes not enough, you need to be able to read obvious signs of attraction from men and act on what they are telling you with their body language – not their mind. In my newsletter I’ll show you exactly what men want for FREE, so enter your details below and get instant access.